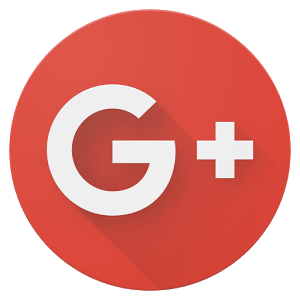 Do you happen to use Google+? 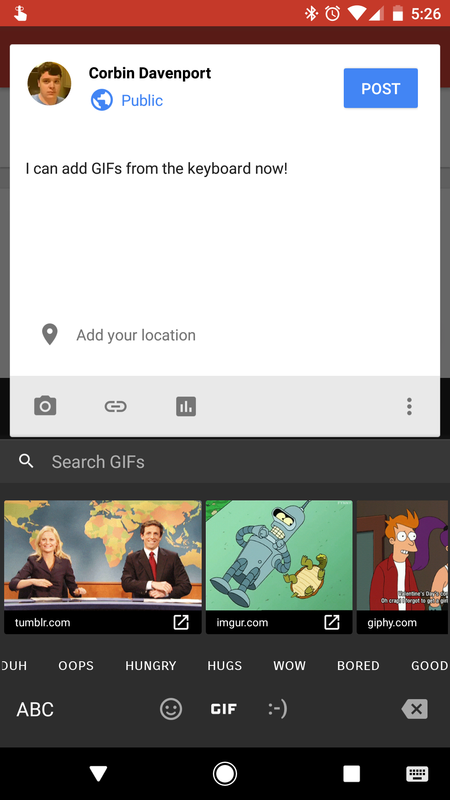 Do you also use Gboard? 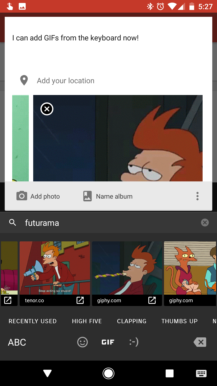 Then you might be happy to know that version 9.6 of the Google+ app for Android adds support for inserting GIFs through Gboard. 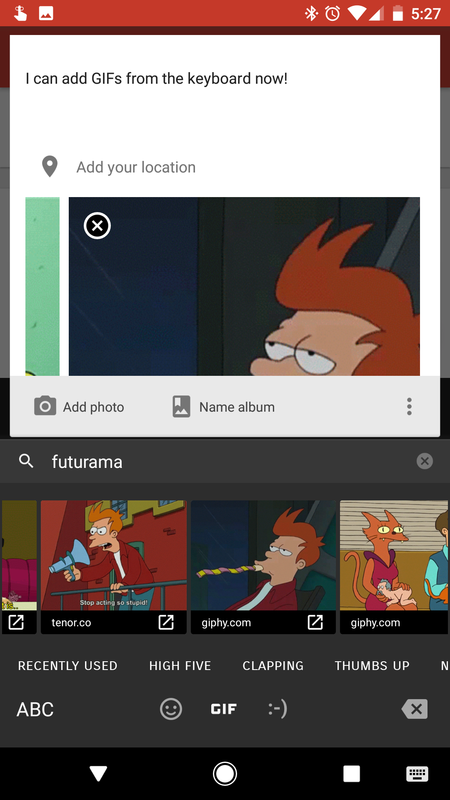 When typing a new post, simply hold down the Return button and switch to Emojis, then press the GIF button at the bottom. 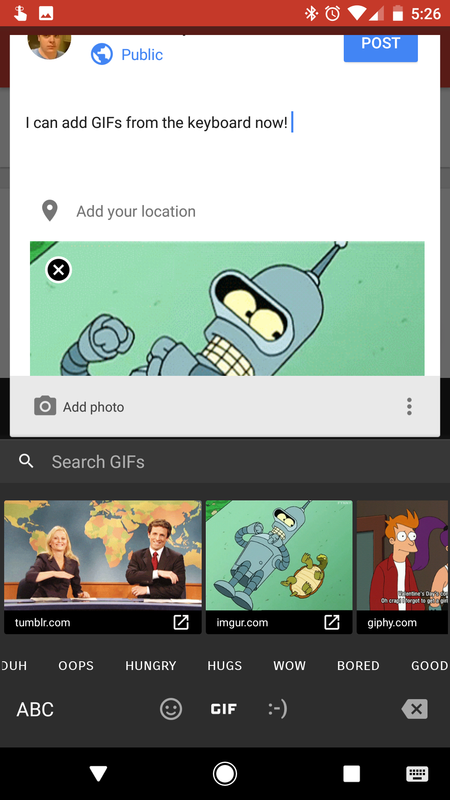 As with any compatible app, this allows you to search for the GIF of your choosing and insert it into the app. 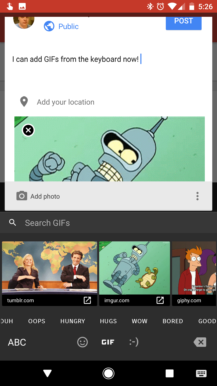 With Google+, you can select multiple GIFs for a single post. 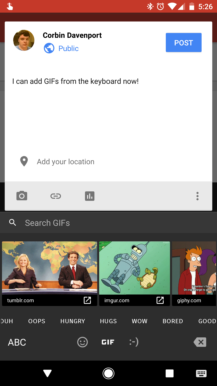 The Google+ 9.6 update is already live on the Play Store, but in case you haven't received it yet, you can also grab it from APKMirror.